Crunching Koalas has announced that Butcher is out now on Nintendo Switch digitally via the Nintendo eShop for $9.99 / €9.99. 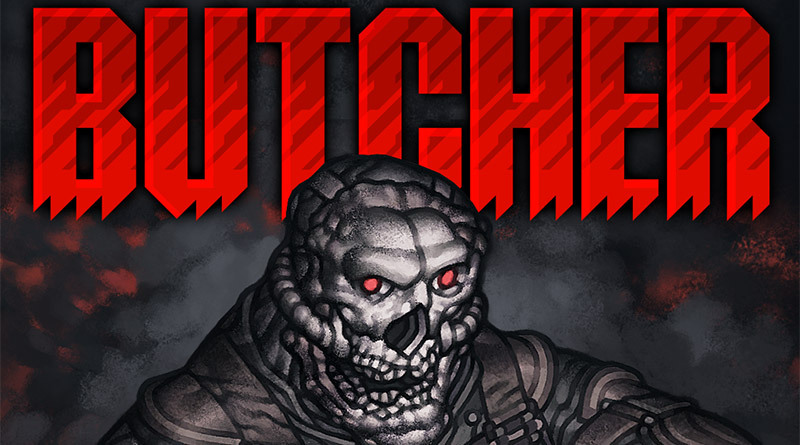 Butcher is a fast-paced 2D shooter and a blood-soaked love letter to the cult classics of the genre, developed by Transhuman Design – the studio behind Soldat and King Arthur’s Gold. As a cyborg programmed to eradicate the last remains of humanity, your sole purpose is to well… annihilate anything that moves. Grab your weapon of choice (from a chainsaw, through shotgun, to grenade launcher) and kill your way through underground hideouts, post-apocalyptic cities, jungles and more. And if you’re feeling creative, there are plenty other ways of ending your enemies’ misery – hooks, lava pits, saws… no death will ever be the same. Ultra-violent uncompromising carnage in the spirit of Doom and Quake (chainsaw included). Release your inner artist, paint the walls with (permanent) blood (up to 4 million pixels available to be painted per level). Use the environment (saws, hooks, lava pits, animals and other) to brutally dispose of your enemies. Put your reflex and patience to the ultimate test. Choose from an array of weapons (featuring classics like chainsaw, railgun and the deadly grenade launcher). Soak in the dark atmosphere reinforced by a wicked, heavy soundtrack (while you kick corpses around).